How do I change reports to show points or percentages? 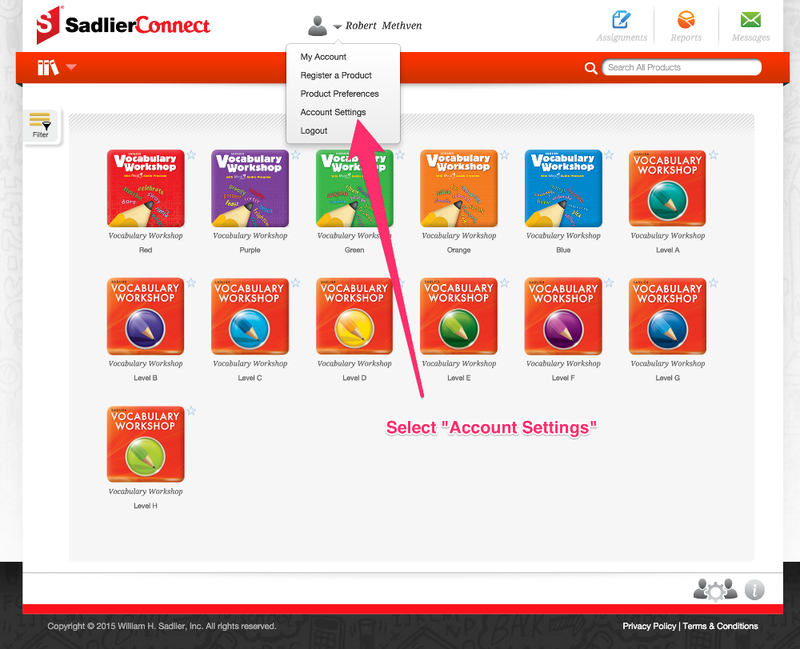 Sadlier Connect provides teachers the flexibility to show the reports data as either percentages or points earned. One can change this by going into Account Settings and changing the "Score on Reports" to the appropriate setting. 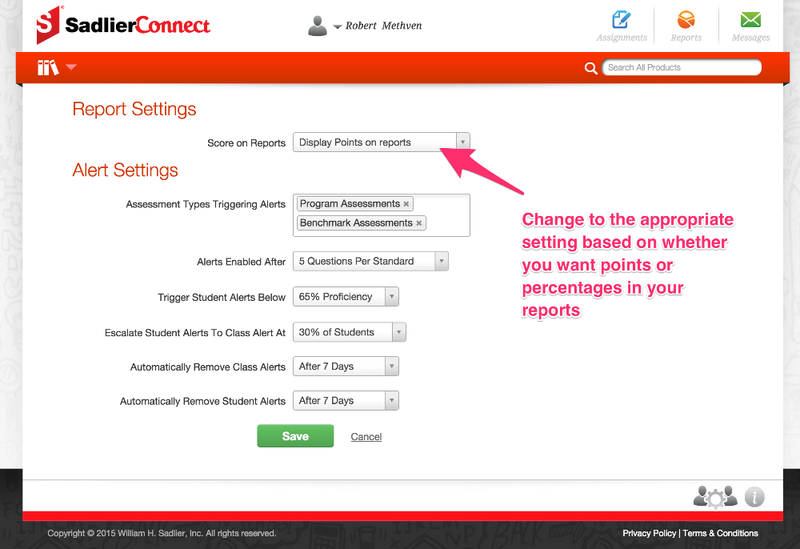 Change the "Score on Reports" option to either display points or percentages based on your preferences.